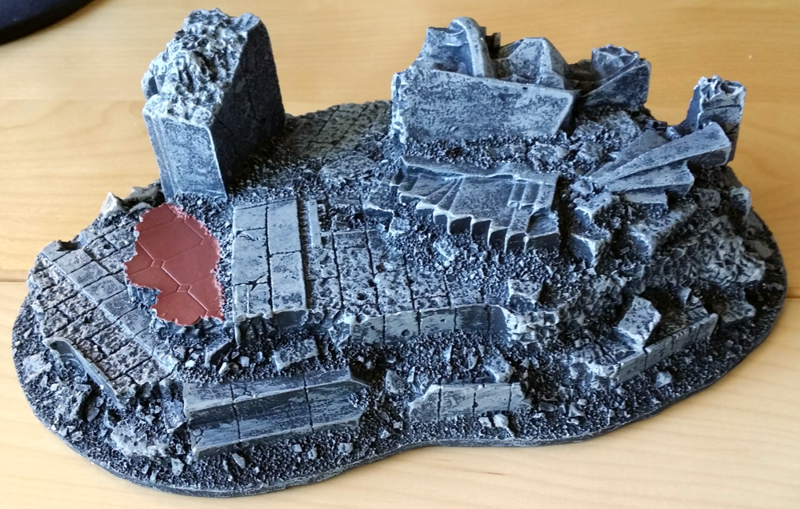 I’ve been picking up prepainted terrain for Frostgrave, and have had good success with Mage Knight Castle pieces and War Torn Worlds ruins and walls. Like those two lines, the segment of the Battlefield in a Box series that’s a good fit for Frostgrave is out of print, but I was able to snag a couple of pieces on Ebay. 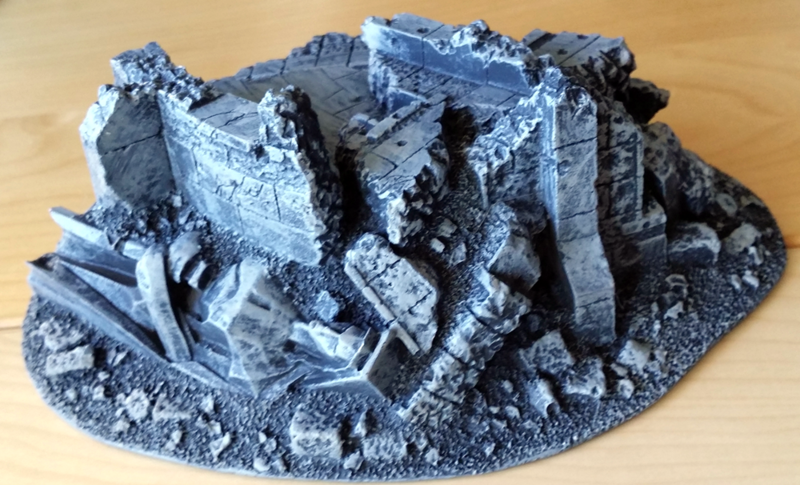 Both looked like they’d block LOS and take up a good amount of space — important traits for Frostgrave terrain! 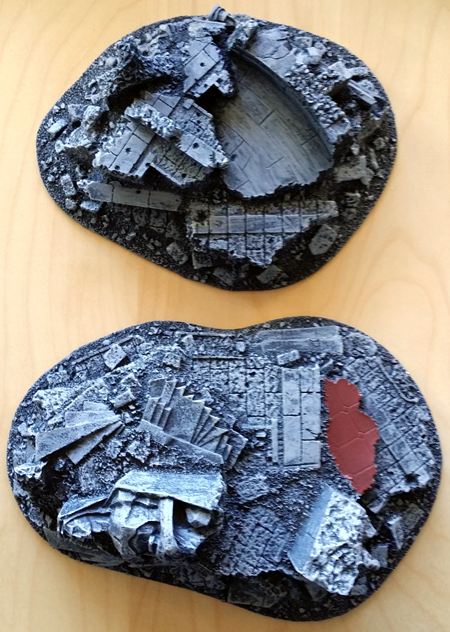 — and from what I’d seen online they seemed to be painted up pretty well. Let’s take a peek. 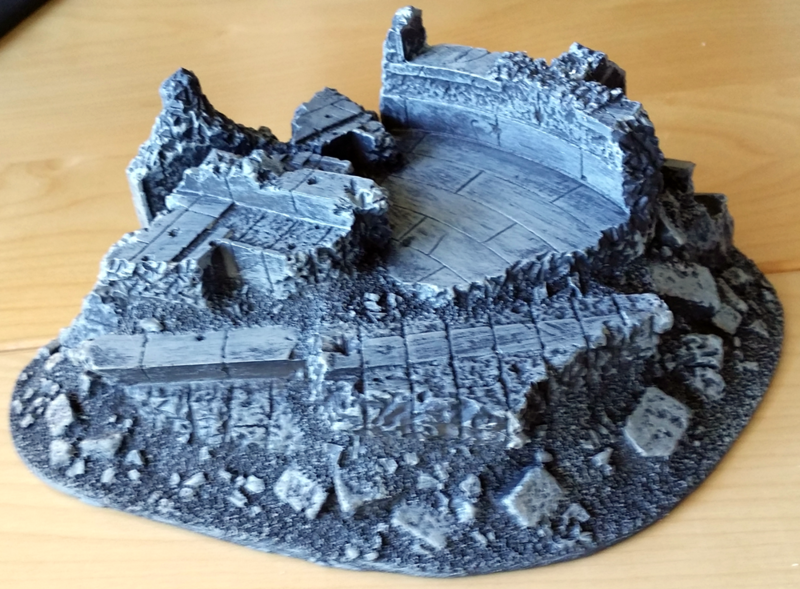 I like the mix of cover, accessible elevation, and atmosphere that this piece brings to the table. 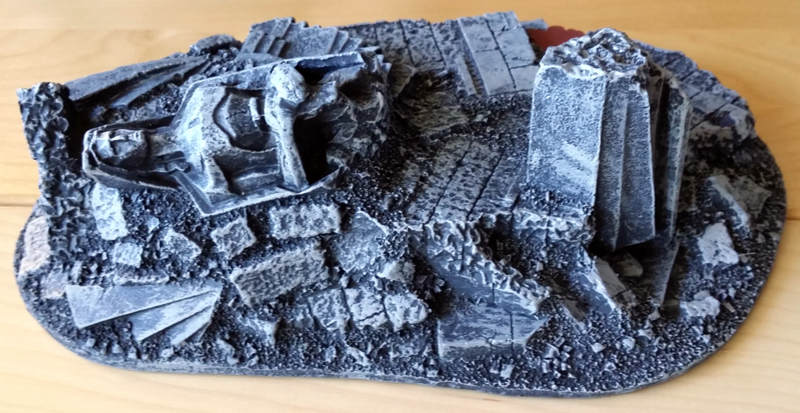 It’s sturdy plastic, it sits flat, and the paint job is solid. Another cool thing about that angel? A variation on the same statue appears on one side of Buried Monument, too! That really ties them together as being part of the same ruined city. Neat. 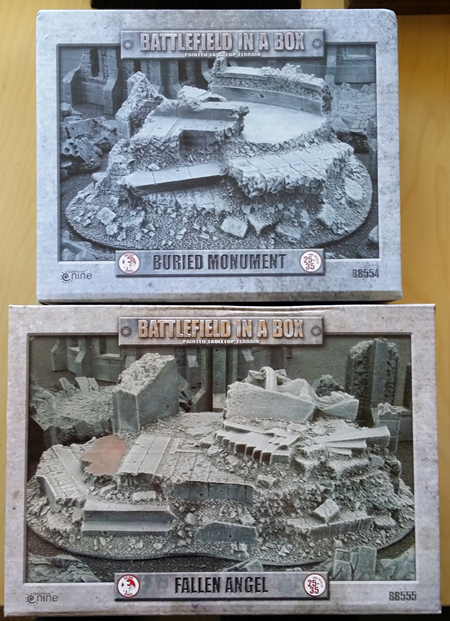 I’m happy with both of these pieces, and I’d love to find the rest of the “Gothic” portion of the Battlefield in a Box line, especially Ruined Fountain and Blasted Terrace. I’ve spotted a couple more online, but at well above MSRP (fair enough, since they’re out of print). I’ll keep looking, though, because these definitely fit the aesthetics of “my” Frostgrave.